Clinics are held in two main locations, the details of which are shown below. The full fee is payable unless 24 hours notice is provided. Sarah is currently offering complimentary consultations by phone. 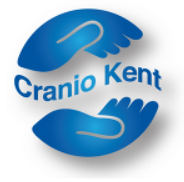 If you would like to discuss your needs and see if Craniosacral Therapy might be right for you, please give her a call on 07956 390419 or email sarah@craniokent.co.uk with a short message about what you need help with and she will get back to you.